Akio Toyoda, the chairman of Toyota Motor Corporation, is a worried man. The chief of world’s leading automobile player has raised serious concerns about survival of automobile companies in an event of newer technological challenges such as electric mobility, automation and connected vehicles. Toyota retailed 5.2 million vehicles during the first half of FY18 globally. All around the world electric mobility is beginning to gain ground as an alternative to conventional fuel-run cars. Here, the government has talked about an ambitious plan to have an all-electric vehicle fleet by 2030. Besides electric mobility, the sector is also seeing disruptions in form of connected vehicles and autonomous driving tech where carmakers have limited know-how. Toyota Motor believes the industry has entered a phase of “competition and coordination” that involves entities from other industries, the firm said. “We will pursue alliances with other companies and other industries,” Toyoda said. 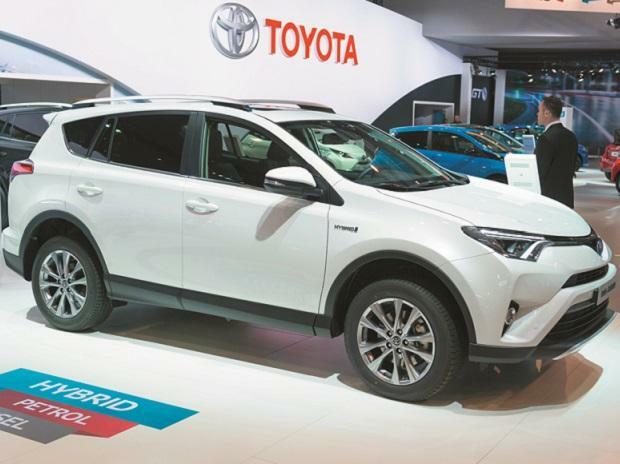 Toyota Motor entered into a partnership with Japanese peer Suzuki Motor Corporation (SMC) earlier this year to work together in areas of green vehicles, safety, information technologies and mutual supply of products and components. SMC, the parent of India’s biggest carmaker Maruti Suzuki, said last month it would work with Toyota Motor to introduce EVs in India. To boost business innovation among companies of the Toyota Group, Toyota Motor last week decided to change its executive line-up and revise its organisational structure from January. “Surrounded by changes of unprecedented speed and scale, Toyota Motor is aware it faces a now or never situation in which not a moment can be spared,” the firm added. R C Bhargava, chairman at Maruti Suzuki, said Toyoda’s statement makes perfect sense and must be taken seriously. “Businesses face challenges all the time. But when a new tech comes, these become even bigger. Nobody can guarantee success. Everybody will try; some may win and some may not,” he said. Firms are, therefore, beginning to scout for partnerships with rivals and tech firms. With partnerships, the cost of developing new tech can be spread over a larger number of vehicles. In India, home-grown Mahindra & Mahindra and US carmaker Ford entered into a partnership to work together on mobility programmes, connected vehicle projects, electrification, product development, sourcing and marketing. Earlier this year, Tata Motors initiated partnership talks with Volkswagen group to jointly develop vehicles. However, both ended discussions in August after finding their partnership may not yield desired synergies. Tata also partnered with Microsoft to work on connected vehicle technologies.